Just a very short post today for you all. 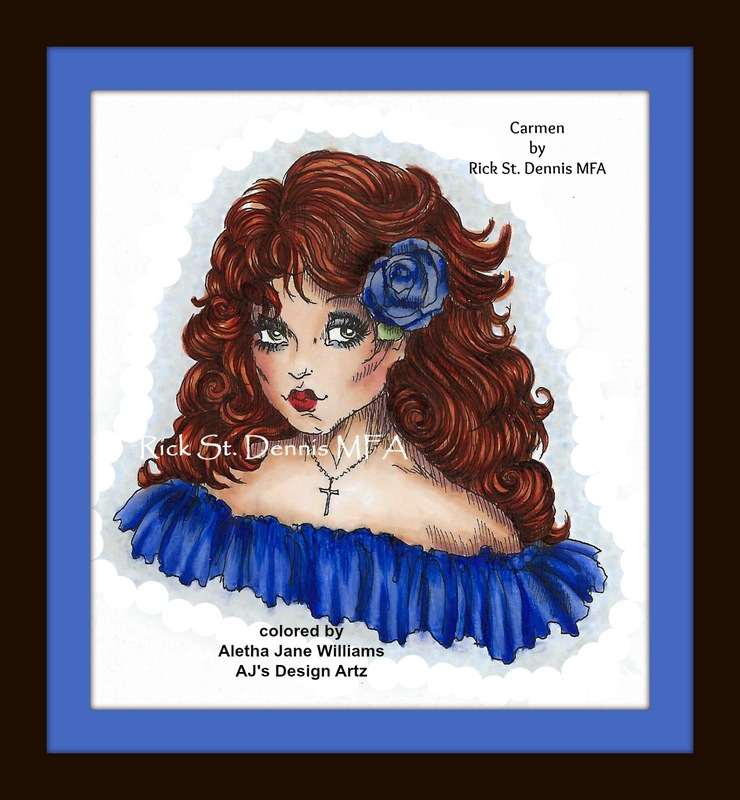 I just finished coloring “Carmen” by Rick St. Dennis MFA. Of course I used Copics AND Carmen has my favorite color of hair, auburn. I love all of Rick’s “ladies,” the hat series, the portrait size ladies, or the ladies in full body costume. His images call for me to do my best coloring. I do try my best, but with Carmen, I got a little carried away with my fabric folds. I created too many and they are too deep. This is the top of a peasant blouse, and they are usually made with cotton fabric. Like I said, this is short and sweet. Thanks so much for stopping by. If you have any questions, please contact me.